Talking at Huawei's Global Mobile Broadband Forum in London last week, Arnaud Vamparys, senior VP of radio networks at Orange, noted that 4G has not delivered enough for the African continent, which is a key strategic region for Orange: The company operates in 20 markets across Africa and the Middle East, has more than 117 million customers in the region and generates revenues of about €5 billion per year (at the current run rate), mostly from mobile services. 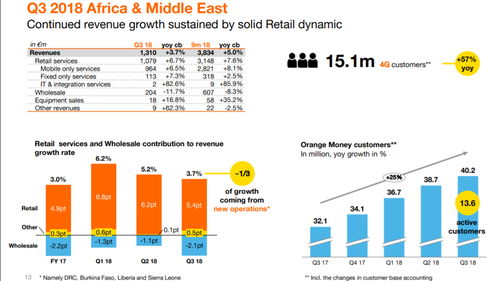 Orange has rolled out 4G in 14 markets in the AME region, and currently has just over 15 million customers using 4G services, but the operator is looking for most cost-efficient solutions to take mobile data services to even greater numbers of users and believes 5G could help in that quest. But much needs to be done before 5G will be ready to roll out in any market, noted Vamparys. In addition, a fully functioning 5G network will require a reliable telco cloud (virtualized) architecture, to facilitate the automation and agility needed to support 5G services, but SDN and NFV technologies are still immature, with the global operator community still struggling to agree on a unified approach to virtualization. Second, there is still a great deal of work to be done on making mobile networks more power efficient. Currently, about 25% of mobile network operating costs are accounted for by power and, according to Vamparys, 5G is not yet optimized for power optimization in the way it should be. "We need to do more as an industry to reduce power consumption," he told an auditorium of hundreds of telecom industry executives. But Vamparys clearly believes that these challenges can be overcome and that, from 2020 onwards, Orange will be able to start delivering enhanced mobile broadband, fixed wireless broadband, massive Machine Type Communications (IoT) and specialized, low-latency services across its portfolio of operating companies. 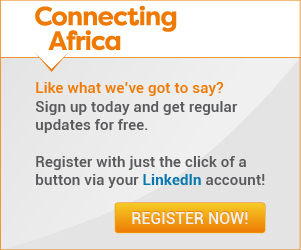 It might be some time coming in any meaningful way across Africa, but it seems that Orange is determined to make sure that the AME region does not fall behind in a communications networking revolution that could help connect more users in Africa to better and more affordable services.